We are an Authorized Vendor of Genuine Ogallala Bay Rum Product Line with Secure Online Ordering and product Ready To Ship! New Bay Rum and Sweet Orange now available for a limited time! Our shaving soaps contain shea butter for a great smooth feel on your face. They are a big 3 inches in diameter. If you have a mug that is a bit smaller, you can just whittle a bit off around the edges and throw the shavings in the mug with your soap to make it fit or melt for 30 seconds in a microwave-safe container and pour into your mug (of course then you'll need to let it cool for a few hours).... Whip it up into a nice lather with your brush and....well, you are gonna LOVE this soap! All Genuine Ogallala Bay Rum Shaving Soaps have superior lubricating qualities for, what we feel, is about as good as it gets for a clean comfortable shave. And then there is that fantastic fragrance! Also, our shaving soaps do not contain artificial coloring. 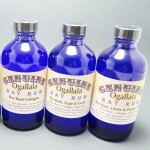 Genuine Ogallala Bay Aftershave, 4oz & 8oz bottles. Old-time looking bottle and label. The bottle itself would make a great bathroom decoration…but you’ll definitely want to use the product too! 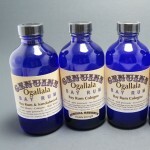 Genuine Ogallala Bay Rum products have a bold, refreshing fragrance…like you remember from years ago in the barber shop! It has much more fragrance than most…it smells like Bay Rum used to. Comes with a card that reads: From 1870-1885 Ogallala was the destination of countless cowboys driving cattle north from Texas to the railhead. It’s a sure bet that as the boys hit town one of their first stops was a barbershop for a bath, shave and a haircut. After being splashed (quite generously) with the barber’s own special mix of Bay Rum, he was ready to hit the saloon and talk to the young ladies who were anxious to sell him drinks. While we can’t do much about the dance hall girls we can bring back that great old fashioned fragrance – Bay Rum! 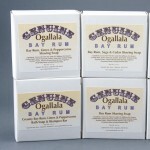 Genuine Ogallala Bay Rum is simply the best you’ll find! way it smells in the bottle. There are variables involved. How it smells on YOU after a little while is one of em. Another in our particular case is that several guys have noted that it seems to “mellow” on them after a few minutes and takes on a totally different aroma than what they sniff when they remove the cap. If you are not completely satisfied with your purchase, you may return your order for a refund within 30 days of the purchase date. Refunds granted do not include shipping charges. Furthermore, the customer is responsible for shipping charges that may be incurred due to returning your order. Any personal information you submit to us will remain confidential. We know you hate spam as much as we do, therefore we do not sell your information to third parties. Your information is only used to better serve you, our customer. Your financial information is also private. We use PCI compliant merchant providers who guarantee your financial information is safe and secure. 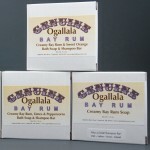 Professional Products Company is an Authorized Vendor of Genuine Ogallala Bay Rum Products. Get a free 2 oz Non-Spray Genuine Ogallala Bay Rum Aftershave or Cologne in Regular or Double Strength when your subtotal is greater than $50. Once you're order subtotal is greater than $50, select view cart and follow the easy instructions to add your free gift.